I've been away from rendering quite a bit myself over the summer. Just getting back to things - when I'm not balancing a pack of frozen peas on my shoulder - physio exercise, not madness. Sometime I have to sort out the 200 or so shoe pictures from the museum at Romans-sur-Isere and then work out which ones I can try to make. It's a fascinating collection with all periods and good international coverage. I bought the book so I should start adding shoe information into the Wiki. 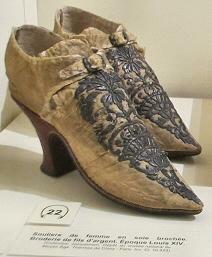 A pair of shoes from the court of Louis XIV. I really like the look of Caput Caseum and additional textures, but I'm not sure of period or context. Could anyone hear suggest how you might use this product, or the individual pieces? Thank you in advance! Looks basically a spinoff from 16th century, but probably not accurate. I've not had a chance to take a closer look at it yet and seen what the pieces and mat zones are like. From the clay render in the promos, it looked like all one mesh, but the helmet is separate if nothing else. If it's separate pieces the pants would be useful at any rate. Thank you! I wondered about the pants. I purchased Caput Caseum... It actually consists of nine parts: Armor, Helmet Arm Guard Left Arm Guard Right Boots (Left and Right) Pants, Plate Bracers and Undershirt. 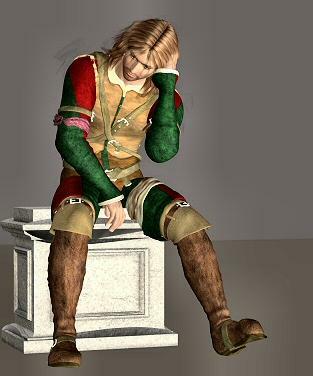 It is vaguely renaissance with rather nice textures including the rather worn shirt. Oh good. Depending on the performance of autofit on a couple of the M4 outfits, there is enough to be going on with for the kind of vaguely Renaissance adventure illos that a lot of people like. and actual authenticity is at least a bit closer to being within reach. Still needs help though. Some of these Renaissance style things can be made a bit more adaptable. I've done some work on the M3 Wildenlander top, breeches and boots (converted to M4) by getting rid of the silly shoulder pads and making the top leather rather than metal. The idea was a sixteenth century mercenary with looted velvets and practical leather. They wore their wealth as clothes were always sellable. This seems like a good place to ask. 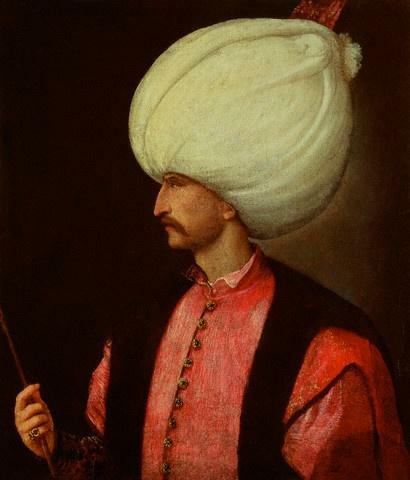 Does anyone know where I might find a really gaudy, ostentatious Ottoman-style turban? Renapd has an M3 set over on Rendo. Actually she had a couple of them. One of Maharajas and another of Pashas. Both had turbans. ETA: The Pashas Megapack (extra textures) is in clearance now, and so is the Maharaja Expansion. They are on something like pages 3 and 5 of her store. @Rosemaryr: Yes, those are exactly what I had in mind! @JOdel: Thanks for pointing that out. $22 is perhaps a bit more than I want to pay for a turban, but I'll definitely be keeping my eye on the Maharaja set in the event it goes on sale. I've started work on some shoes. They are much more complicated than ones I've made before so I'm not sure how well they will turn out. The basic shape is there but needs another piece added at the top coming out from under the buckle. Those things make my toes hurt just looking at them!! I'm soooo glad I don't actually have to wear stuff like that in today's world, no matter how much I like historical outfits! 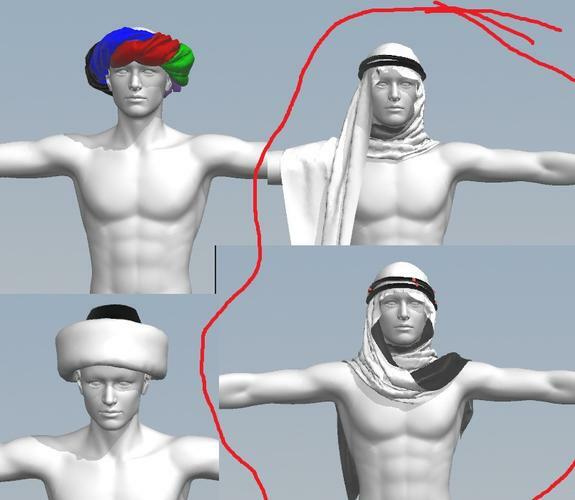 Zaarin: Here are the first stages of the Ottoman turbans. These would just be the support structures for the cloth to drape onto (and would be eliminated form the final mesh), but they show the basic shapes I'm going for. Are they a good size, or should I go even more grandiose? Those are some of the more comfortable looking ones! According to the museum book, by the late eighteenth century ladies were using walking sticks just to keep upright. The heels were strangely shaped, angeled forward and under the instep - some of them stilettos. If you were a peasant at least you could wear clogs. 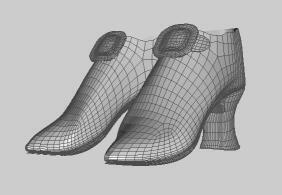 I think I might make some modern footwear as well. Flat styles only. Okay, then! I'll include a bit wider range in the final offerings. 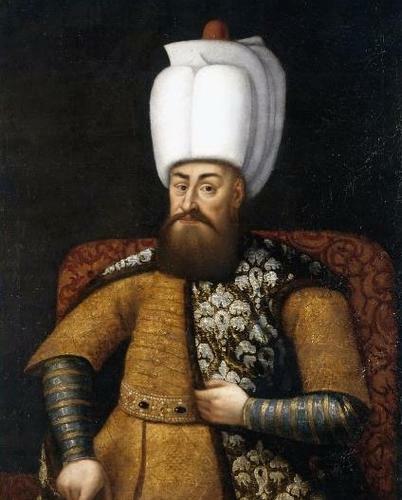 That way every level of nobility can have an appropriate sized turban to flaunt. Okay, here's another shape I'll add to the mix: The Grand Poohba. Closer to the last image in size and rough shape. We'll see how it works with the cloth draped on it later. 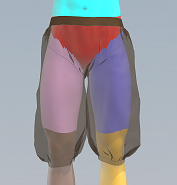 I'm working on some baggy breeches for M4 and trying to make them so that I can conform them. I have managed the upper parts - abdomen, hip etc but need to split upper and lower leg. I recall that you can do this now with an internal line but I'm not sure how to do this. The manual wasn't much help. I haven't found a way of capturing the pattern window. My capture refuses to work in MD. Baglet: I am assuming you need to split the pattern on a horizontal line, corresponding with the colored areas on the legs? 3) move the 2d patterns of the pants to another area of the 2d workspace for easy differentiation. 4) use File>Add garment to bring in a duplicate copy of the pants; (it's 2d pattern pieces will be in the original spot), [both pants will be in position and overlapping in the 3d workspace--less simulation work needed!]. 6) sew the top and bottoms together, (and any side seam that got messed up by the deletion...it happens sometimes, sometimes not). 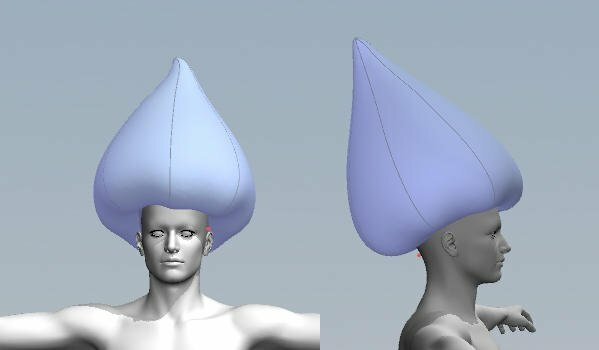 Using the internal lines *would* force the polys to line up along that line, so they could be more easily spotted for manual selection in a 3dmesh editor program, if you are more familiar with that work-flow. Been busy with work the last month or so, and next month will be even more stressful. Luckily I have a week off coming up to de-pressurize and do some creation! 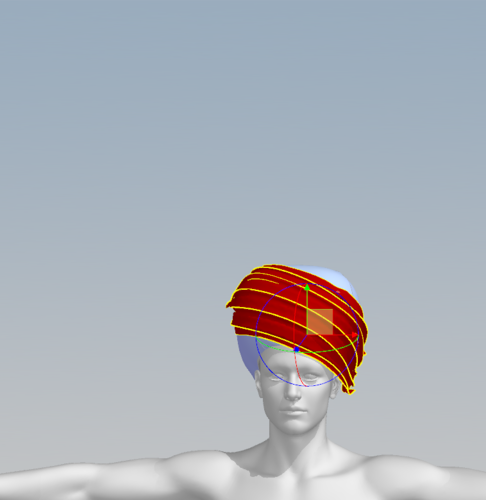 I'll get back to those turbans ASAP! I've been slow to do anything because of some wretched virus. Here is a top I've made for Genesis in MD. It fits well but needs a great deal of adjustment to get it over a skirt. 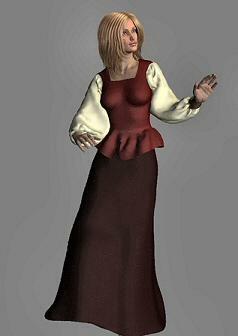 The idea was a late 16th-early 17th century bodice with "frill" for a "middling sort" woman. This is just with simple colours over the Pharoahs of the Sun dress skirt as that worked better. I'm also hoping it will do over leggings for a fantasy top. Long time no action! I'm involved in a startup business so that has had to take priority for months - I am the tech person. I have a few days free now while our advisors are on their vacations. So I'm putting some of my photos onto the wiki. Every time I see a good tomb, wall painting, brass or similar I take a photo. It's a huge and ever growing collection. The brasses are diffilcult as some can be in very awkward places - like the church vestry and cleaning store. I'm trying to arrange it all in a time sequence from late prehistory onwards. So far I have Roman and post Roman (Byzantine and other places). Greek does not have anything as I haven't located them yet. Hi Baglet....nice to hear from you. I haven't spent much time on the wiki lately as I've been too busy with school. Hopefully the reinstall will give me the impetus to do some more renders. But if any of the wonderful costumes, shoes or hats shown here have developed further I would love to see images. Hope you're all very well!